The Asset Properties panel displays all the properties of the selected Geometry Asset node and allows to edit these properties. If the Asset Properties panel is hidden, right click on the Character Maker toolbar and check the Asset Properties. To edit the name of the Character Node, edit the text box and press enter. The Character Node references all the Geometry Files of the Character (.fbx or .gcg files). Each of these files must contain the Character skeleton bones (the same skeleton which has been used to create the Skeleton part of the Character File), geometry and skinning to be used at render time (it can also optionally include blendshapes, geometry animation...). 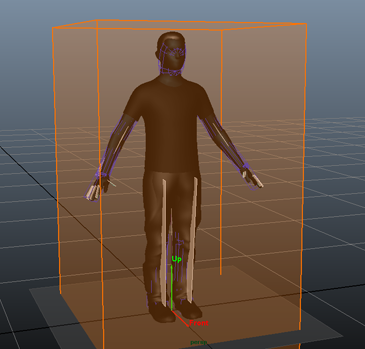 The Geometry file is used to store all available geometry for generating characters as well as the way they are skinned on the simulated skeleton. In most cases, the Character node will contain only one Geometry File. But, if more control over the character's geometry is needed, such as LOD or secondary animation (flags, capes...), several Geometry Files can be provided and used in the Geometry Animation Behavior. As the Character File only contains the name of the character meshes, it is important to make sure that the Geometry File (.fbx or .gcg) contains meshes with the EXACT names in it (including namespaces). Moreover, the geometry file has the same limitations as its format. i.e. when the geometry is stored in a FBX file, only features supported by the FBX file format are supported. The GCG file format is even more restrictive. For more information, see the rendering workflow. Currently only one option is offered, and it is best let as is. It is present for people having issues with the bindPose export, as Maya can store the skeleton bind pose in three locations : on the Skin Cluster, on a separate dagPose node (Bind Pose), or on the joints themselves (Current Values). Usually the three locations have matching data, but it can happen in some odd cases that the "good" bind pose is stored in only one of these lcoations. Each Geometry File has a Bounding Box centered on the root bone defined in the Skeleton Tab. This bounding box is used by the renderers in order to check if it should call the Golaem Crowd procedural to render a character or not (see the rendering workflow). Bounding Box boundaries should be adapted to the character geometry and scale (taking into account the potential motions of the characters, e.g. if the character is a human and can raise its arms, a 1 meter margin should be added above the head). The Bounding Box of a Character is computed automatically when its Geometry File is exported from the Character Maker but it's possible to adjust it manually by using the sliders in the Asset Properties panel under Width/Height. When the width and height are changed, the bounding box shape is displayed directly in the viewport, on the Character Maker Locator. Each Geometry File is tagged thanks to a Geometry Tag. A Geometry Tag allows to specify which Geometry File should be used in different steps of the Golaem workflow: during simulation, Cache Replay, render or geometry bake. Geometry File of a same Geometry Tag appear next to each other in the Character Node. The names of the available Geometry Tags can be customized using the glmGeometryTags optionVar. Each geometry can be assigned a LOD min / max distance. If LOD is enabled when rendering, the geometry will be chosen according to object to camera distance. The geometry used will be the one which has the closest distance, among the available geometries of this tag, compared to the current camera distance. If several geometries are possible at a given distance, the first geometry found is used, thus it is better to avoid overlapping for LOD ranges. To export different levels of LOD, you must rename geometries to match the mesh asset nodes for the given LOD then export the geometry for that given LOD. Once configured here, LOD can be enabled for rendering on "Frustum Culling & LOD attributes" of Crowd Render Proxy. To enable LOD at previz, this is done on the Crowd Manager Simulation Render Attributes. Note that the camera distance is evaluated per entity, taking into consideration the entity scale (which can produce a gradient zone as below). If the mesh is using a cloth, in rendering and previz alike, only the shortest distance LOD will display the cloth, others will use static (decimated) meshes. Scene with LOD enabled for previz, using a single mesh asset, and two geometries : a sphere for distance 0 (LOD min)-100( LOD max), a cube for 100-15000. Using entity scales from 0.9 to 1.1 produce some progressive transition. To edit the name of the Asset Group Node, edit the text box and press enter. If an Asset Group Node with the same name already exists, a number will be added to the name, as it must be unique. To toggle the Asset Group as weighted or not, check or uncheck the Weighted checkbox. Only an Asset Group with two or more child nodes can be weighted. This property can also be changed in the Main Workspace. 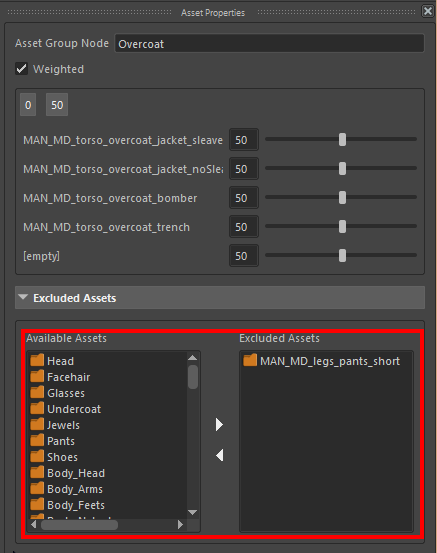 If an Asset Group is weighted, only one of its child nodes will be chosen at render time according to the Asset Group's weights, otherwise all of its child nodes will be chosen. When the Asset Group is weighted, the weights of its child nodes are displayed. 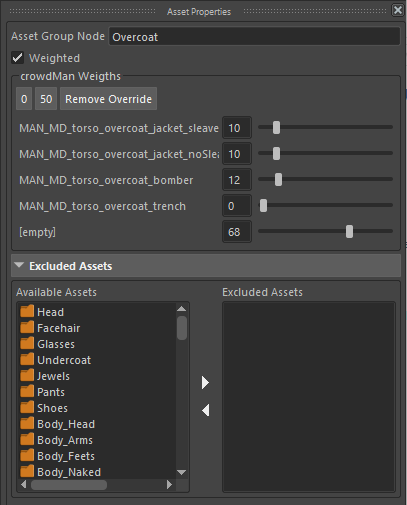 Weights can be adjusted using the sliders in the Asset Properties panel. Keep in mind that the displayed weights depend on the Rendering Type selected in the Rendering Types Panel. If no Rendering Type is selected (or the root "Rendering Types" item is selected), the weights displayed are the default weights. If a Rendering Type is selected, the weights displayed are the weights of the Asset Group in that Rendering Type. Weights can also be changed directly in the Rendering Types Panel with sliders, or in the Main Workspace. To set all the weights to 0, click the "0" button above the weight sliders. No child node will be selected in this group. To set all the weights to 50, click the "50" button above the weight sliders. All the child nodes will have an equal chance to be selected at render time. If the Asset Group overrides the default weights or the weights of a parent Rendering Type in a child Rendering Type, the Remove Override button is displayed. Pressing this button will restore the inherited weights of the Asset Group (default weights or weights from the parent Rendering Type). Because sometimes some meshes or fur assets are not compatible together, or because it will not be realistic for a character to have them together (e.g. shorts and a jacket), it is possible to create exclusion rules. These exclusion rules can be applied to either Asset Groups, Mesh Assets or Fur Assets. This means that if an Asset Group, Mesh Asset or Fur Asset is selected, the Character will not get any of its excluded assets, and vice versa. In the example above, the overcoat and the shorts are mutually exclusive which means that at render time, if a character is generated with an overcoat, it will no be possible for it to get shorts. Because this is a mutual exclusion, it also means that if the character is generated with shorts, it will not be possible for it to get an overcoat. To add one or more excluded assets, select them in the Available Assets list view and click the button. The selected assets will be transferred to the Excluded Assets list view. To remove one or more excluded assets, select them in the Excluded Assets list view and click the button. The selected assets will be transferred back to the Available Assets list view. To edit the name of the Mesh Asset Node, edit the text box and press enter. If a Mesh Asset Node with the same name already exists, a number will be added to the name, as it must be unique. Keep in mind that a Mesh Asset directly represents a mesh associated to the Character. Thus a mesh with this name must exist in the Character's geometry file. If you intend to use cloth simulation on a given mesh asset, this is where to specify the .apx cloth configuration file. See the Apex Cloth Behavior and the corresponding tutorial. See the detailed description above. To edit the name of the Fur Asset Node, edit the text box and press enter. If a Fur Asset Node with the same name already exists, a number will be added to the name, as it must be unique. Attributes specific to Fur Assets are listed in this section. The Golaem Fur Cache file (.gfc) containing the fur description. If the file is not found, no fur will be rendered. Click on the button to browse for a .gfc file, or on the Import Fur button to import fur from an Alembic file and convert it to a .gfc file. For more details, see the Procedural Fur tutorial. This lists the Mesh Assets supporting the current Fur Asset. If a Mesh Asset is unchecked here, the fur will not be generated on this mesh. If a mesh asset is grayed out, it's not present in the Golaem character file and the fur will be generated on this mesh. To select the associated Mesh Asset, click on the Select mesh node ">" button. To edit the name of the Shading Group Node, edit the text box and press enter. If a Shading Group Node with the same name already exists, a number will be added to the name, as it must be unique. Keep in mind that a Shading Group Node directly represents a shading group applied on a mesh of the rendered geometry or a fur asset. The Maya scene being rendered must contain the shading group with the same name at render time, otherwise the meshes or fur assets using the Shading Group Node will be rendered with the default shader (for more info, see the rendering workflow). To edit the name of the Shader Asset Node, edit the text box and press enter. 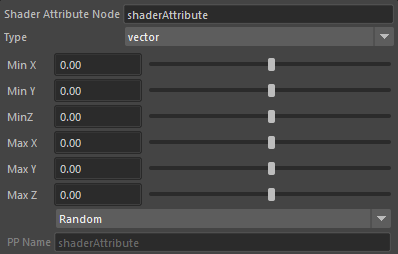 If a Shader Asset Node with the same name already exists, a number will be added to the name, as it must be unique. Keep in mind that a Shader Asset Node directly represents a shader applied on a mesh of the rendered geometry or a fur asset. The Maya scene being rendered must contain the shader with the same name at render time, otherwise the meshes or fur assets using the Shader Asset Node will be rendered with the default shader (for more info, see the rendering workflow). Surface shaders: these shaders can be handled by all renderer plugins. A surface shader corresponds to the surface material attached to a Maya shading group. A Shader Asset is considered a surface shader if its category contains the keyword surface. Displacement shaders: these shaders are only relevant when rendering with Arnold or V-Ray. There define how the geometry of the character is displaced at render time. A Shader is considered a displacement shader if its category contains the keyword displace. Contour shaders: these shaders are only relevant when rendering with Mental Ray. They define how the contours of characters are drawn at render time. A Shader is considered a contour shader if its category contains the keyword contour. The category can be changed using the Category combo box, either by choosing a predefined one, or by typing it directly into the checkbox. If the category is unsupported, the Shader Asset will be displayed with the icon the Main Workspace. To edit the name of the Shader Attribute Node, edit the text box and press enter. If a Shader Attribute Node with the same name already exists, a number will be added to the name, as it must be unique. Keep in mind that a Shader Attribute Node is usually a parameter in a user data shader (see Simulation Render), thus it must have a match in the Maya scene at render time. The other properties of the Shader Attribute change according to its type. Min The minimum integer value of the Shader Attribute. This is only available when the Mode is set to Random, which means that the value is randomly drawn between the Min and the Max values. Max The maximum integer value of the Shader Attribute. This is only available when the Mode is set to Random, which means that the value is randomly drawn between the Min and the Max values. Mode Specify if the value is random, read from the PP attribute given by PP Name or fed by a Channel given by the name of the Shader Attribute. Available Channels are : entityIdx, entityId, characterIdx and renderingTypeIdx. Attribute Name The name of the Golaem or PP attribute from which to read the value of the Shader Attribute. This is only available when the Mode is set to Attribute. Min The minimum float value of the Shader Attribute. This is only available when the Mode is set to Random, which means that the value is randomly drawn between the Min and the Max values. Max The maximum float value of the Shader Attribute. This is only available when the Mode is set to Random, which means that the value is randomly drawn between the Min and the Max values. Mode Specify if the value is random, read from the PP attribute given by PP Name. Min X/Y/Z The minimum vector value of the Shader Attribute. This is only available when the Mode is set to Random, which means that the value is randomly drawn between the Min and the Max values. Max X/Y/Z The maximum vector value of the Shader Attribute. This is only available when the Mode is set to Random, which means that the value is randomly drawn between the Min and the Max values. 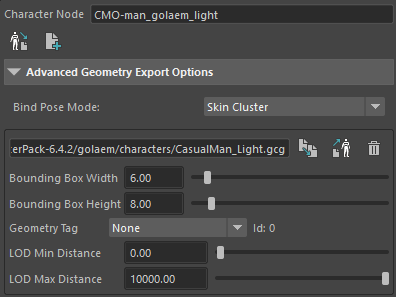 When using attributes to feed Shader Attributes, keep in mind that the Golaem or PP attributes must be exported in the Simulation Cache.